Jenny Uglow reviews Howard Hodgkin: Absent Friends at the National Portrait Gallery, London, on view through June 18, 2017. Uglow writes: "It always feels wrong to scatter words around Howard Hodgkin’s paintings. Their tactile richness should just burn into eyes and minds, leaving a trace behind the eyelids, a memory to which we can return. Their energy is enormous, their beauty intense. Yet 'words' are eerily present in these paintings: conversations, jokes, arguments, and endearments. 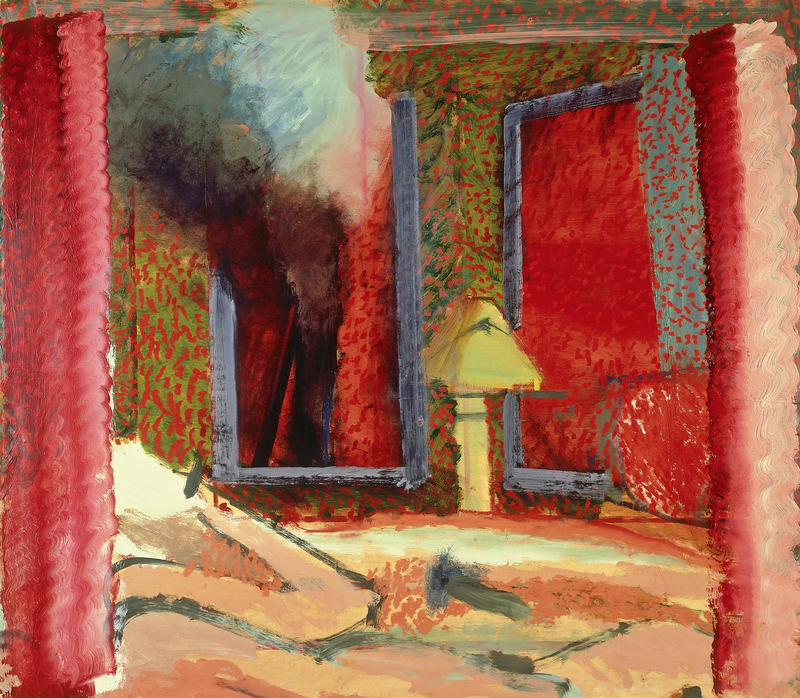 In a way, Hodgkin is a narrative artist ... But he didn’t, himself, like talking about his art, and hapless interviewers often met heavy silences, monosyllabic replies, or airy dismissals. And now he is gone, and there is no one to ask, just the paintings to speak for themselves. And speak they do. Their voices collide, tumble, whisper, sing, shout."